Your dentist will first start by examining your mouth as a whole. This means taking a good look at your teeth and the inside of your mouth as well as observing the outside of you mouth like your lips for signs of any issues. When your cleaning begins, the dentist will be removing tartar from your teeth which is something your toothbrush at home can’t do very well. 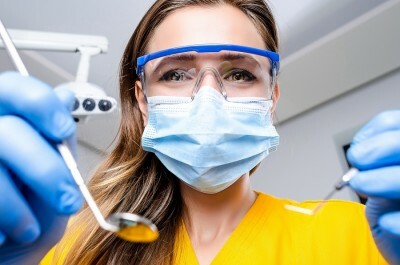 Once the cleaning is complete, your dentist or dental hygienist will then polish the crowns of your teeth to get rid of excess plaque or staining that may be present. Your teeth will feel pretty gritty after this but we you will prompted to rinse out your mouth directly after polishing is done. More often than not, especially if you have not been in for a cleaning in a while, the dentist will want to take x-rays of your teeth. This is standard procedure and simply lets the dentist see what is happening below the surface as far as your teeth and gums are concerned. If you dentist discovers anything less than desirable where your teeth are concerned, whether it be during your exam, cleaning or x rays this is the part of the appointment a treatment will be recommended to you. See? That doesn’t sounds so bad, does it? Call Corsi Dental Associates today to make an appointment for a standard teeth cleaning and get your teeth back to the healthiest they can possibly be.